Bank Windhoek officially opened its 55 th Branch in Okahao, Omusati Region on Monday, 13 August 2018. 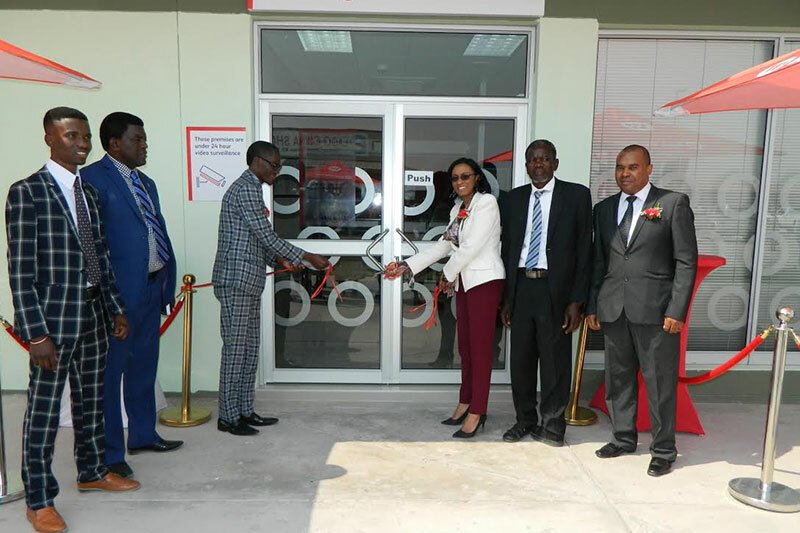 The newest Bank Windhoek Branch, was officially opened by the Governor of the Region, the Hon Erginus Endjala, in the presence of King Johannes Mupongolitha Mupiya of Ongandjera, the Mayor of Okahao, His Worship Immanuel Amutenya, Councillors of Okahao Town Council, the Managing Director of Bank Windhoek, Baronice Hans and the Bank’s Head of Retail Banking Services, Chris Matthee. Members of the growing Okahao business community and invited guests, were also in attendance to witness the opening. The Bank Windhoek Okahao Branch was established after feasibility studies indicated the need for additional financial services support in Okahao since the potential for economic growth was evident. This was seen from the town’s significant investment made in good basic infrastructure; the building of homes as well as a shopping centre which has a good representation of formal trading businesses, including supermarket chains, clothing retailers and many informal traders. The opportunity therefore exists for even more growth with Bank Windhoek as the financial services partner for the people of Okahao. The Bank Windhoek Okahao Branch will be administered by a permanent staff complement of five appointed employees and is situated at the Chicco Building.